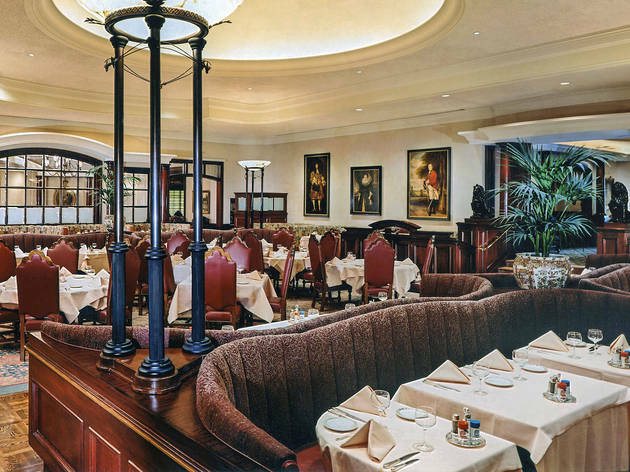 Lawry's doesn't technically serve steak. 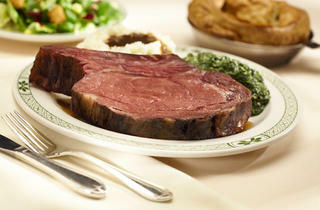 They serve prime rib—pounds and pounds of prime rib. 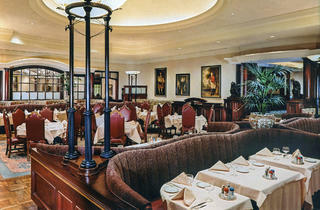 They're legendary, though, and to say that the atmosphere is formal is putting it mildly. The meat is carved tableside in massive silver carts by men wearing tall chef's toques, while your waitress wears a uniform that's a cross between a maid and the Flying Nun. The meal may be traditional, but it's not complicated. There are only a few decisions to make: what size cut you'd like, what temperature and whether or not to add a vegetable (Tip: always add the creamed spinach). 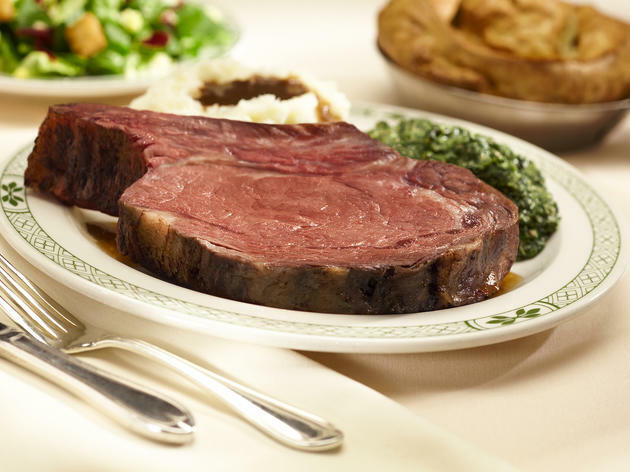 A few bites in and you'll know why Lawry's has been around for 75 years—and by the time you leave, you'll wonder why don't eat from silver carts every night. Always 5 stars for this classic. My family has been coming here since before I was born. It's kinda touristy and always crowded but the food is bomb and the service is amazing. The drinks are awesome as well. We come for special events and after USC football games. The serving carts for the prime rib is unique (based off of Simpsons in London for a little factoid haha) and the creamed corn is THE BEST. Love this place forever and always.